Ideal for music class or physical education. 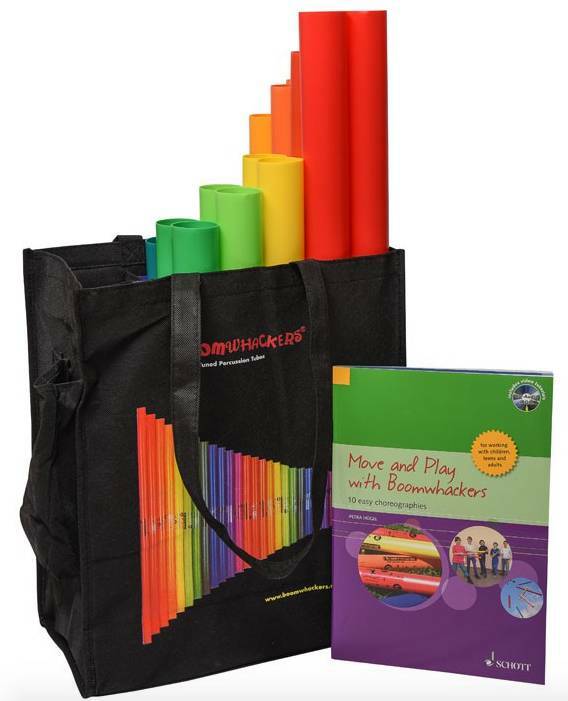 “Move & Play with Boomwhackers” kit enhances learning by integrating music and movement. The book /CD combo containes arrangements, music and choreography (along with video tutorials) for 10 popular songs that work for all levels of music and dance experiences. 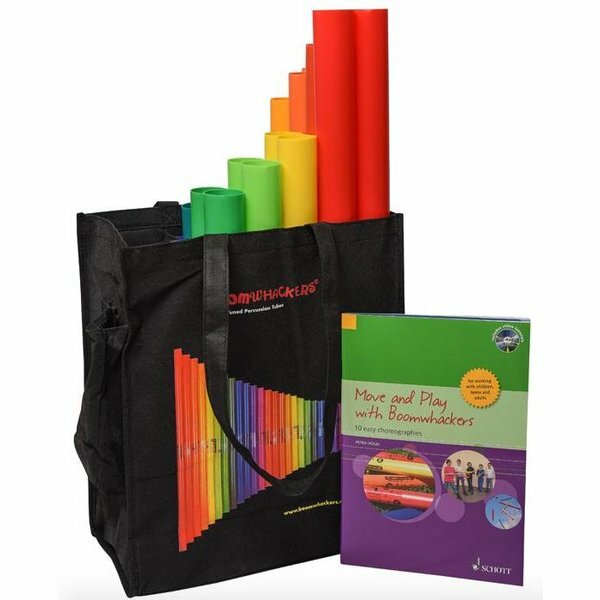 Includes a set of 25 Boomwhackers and 4 octavator caps designed so that a group of 12 or more can perform all of the included songs. Arrives in a Boomwhackers tote bag so you are ready to go and play.